NCR Silver lets merchants process payments on the iPhone. 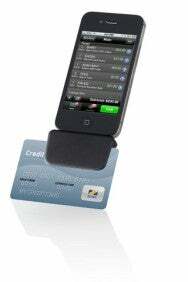 The iOS-cash register business isn’t just for young startups anymore. NCR Corp., which has been making cash registers for nearly 130 years, this week announced the launch of NCR Silver, a new service that lets merchants ring up sales on iPads and iPhones, then track and analyze their sales data at the end of the day. The company joins a growing field of iOS-based “point-of-sale” products in a field pioneered largely by Square, but which also includes competitors like PayPal, Sail Payments and Intuit’s GoPayment. Like those services, NCR is providing merchants with a free app to use in processing and tracking payments from customers. NCR, however, appears to be leaning heavily on hardware in its business model: The company doesn’t provide a free card reader to its customers—instead it charges merchants $79 for a basic credit-card reader, or $549 for a device that scans barcodes and reads credit cards. It also sells an “iPad register bundle”—including a card reader, cash drawer, and receipt printer—for $619. Merchants will also pay a $79-a-month fee for every iPhone and iPad they use as a register. (As part of NCR Silver’s launch, though, the first 1,000 merchats to sign up will pay a $39 monthly fee for the life of their business.) Additional iOS devices can be added for a 10-cent-fee for every transaction they process, with that fee maxing out at $29 per device. How do merchants choose between NCR Silver and other iOS-based services? Macworld last compared the services in March, when Square Register launched. The details remain mostly unchanged since then. There are many similarities, but some differences. Intuit GoPayment: This service offers two tiers—a free service that charges merchants a 2.7-percent fee for each swiped transaction, or a $13-a-month service for high-volume users, which drops the transaction fee to 1.7 percent. (That’s if you use the card reader; you can key in a credit card number via your iOS device’s touchscreen, but Intuit charges a higher fee for those transactions.) Intuit also offers integration with its QuickBooks small-business software, which might ease a merchant’s paperwork hassles. Vendors are promised access to their money within two to three days of the transaction. LightSpeed: This iPad-based system encourages “upselling” with a feature that shows products related to the one being purchased by the customer. Merchants will need more than a tablet to get started, however. 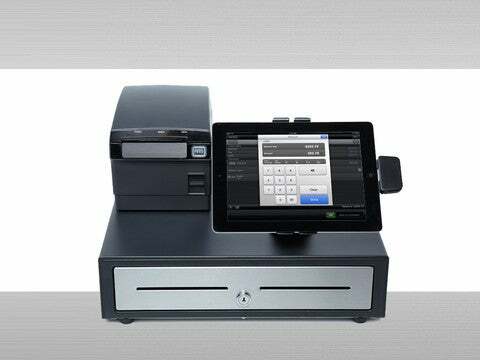 LightSpeed for iPad is part of a broader ecosystem of products that includes a Mac-based point-of-sale system; the service requires the use of a Mac, in fact, to run the LightSpeed for Mac desktop application to administer the service within a store and to process returned and exchanged items. Businesses have to buy one “user license” per tablet. The cost of a single license? $749—though free 30-day demos are available. NCR is also selling the iPad Register Bundle for $619. PayPal Here: No tiers here; PayPal will simply charge a 2.7 percent fee per swiped transaction. The company is attempting to entice merchants with access to PayPal’s existing customer base of more than 100 million people who already use the company for online financial transactions, along with the promise of round-the-clock tech support—and immediate access to funds in their PayPal account. Square Register: Like PayPal, it charges one rate: 2.75 percent. Like NCR Silver, the Square Register app expands the company’s services beyond mere card-reading to all aspects of a retail sale, even offering cloud-based business analytics that a business owner can check remotely. The company promises next-day deposit of funds into a merchant’s bank account. Sail Payments: Formerly known VeriFone Payware, this offering features two tiers of service: The free version charges a 2.7-percent fee for each card swipe; a $10-monthly service lowers that rate to 1.95 percent. NCR Silver’s app runs on recent-generation devices running iOS 5.0 or later. Intuit's GoPayment offers a well-designed card reader, but the otherwise solid app can't track cash payments.